i know this has been done to death, but I find myself in the same quandary. Will ride 80% on the road, but will want to take it in the dirt. A mix of single and 2x track. Seat height is a factor. 30” hobbit inseam. If the drz, leaning toward the SM and having a set of knobbies for dirt. if dr, I would assume two sets of wheels too. Most of my riding will be on the awesome roads of Muskoka. Little to no 400. DRZ400. You can look up the differences between the two, but the SM is the way to go. DR650 is a pig. Weighs a ton and doing anything more than a dirt road on it wont be fun. Also look into where you will be riding. Look at the WR250R if you are doing tougher trails and a lot of them - not as good on the road despite having EFI and 6 gears, but is lighter and has better suspension for offroad. It's only ~35lbs lighter than the DRZ, but when you've gotta manhandle it in the middle of the woods, you'll wish it was lighter. I had a set of Warp9 rims with dirt tires on for my SM, which worked great but you might run into issues running 21/18" because the seat height becomes 36"+. Keep the discussion going, DRZ400SM is on my shopping list for this year! Going through the same thing right now. I am going to replace my versys 650 with something dual sport. I've owned tons of dirt bikes and dual sports so I already know what I want and dont want. It will be used solely on Muskoka roads and for about 30% will be trails etc, i avoid the highways like the plague. I want good power, handling and relatively light weight. I have to be able to roll out 300-500 km days with the wife on her Gladius 650 and then do 350km with my adv buddies. 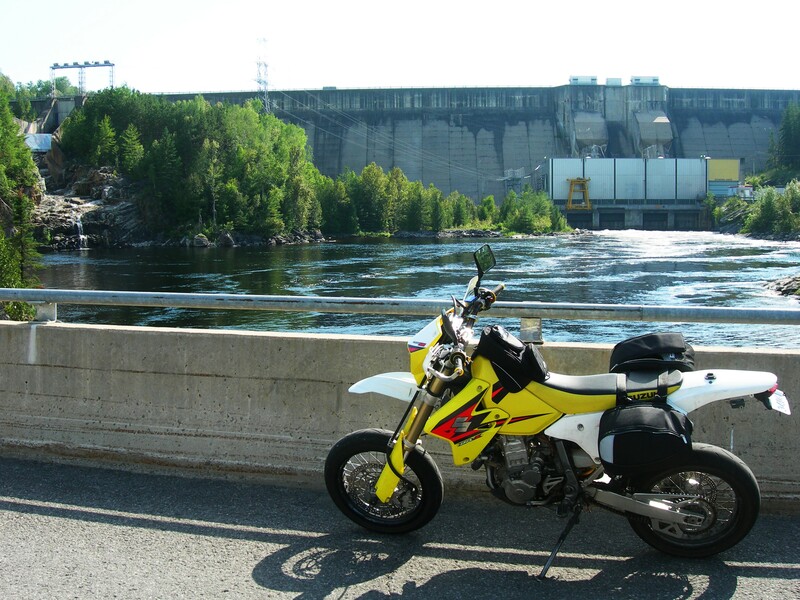 I have no opportunity for touring long distances so big adv bikes are out. I'm also tired of finding myself in some horrible trail in northern ontario on a 500 pound bike that I'm afraid to drop or scratch because of either its value or its frailty. I'm tired of buying a small dual sport and then spending a small fortune to get it to a performance level I can live with, but am not really happy with. After much thought I plan on getting a couple test rides this season and then I am buying either a ktm 690 enduro or a husky 701. I do intend to test the new 790 but I doubt it'll convince me to buy another big adv bike. Yep. I'm going to Mission Cycle May 2. Sorry, messed up when I quoted you. See above. DR-Z400SM with a second set of dirt wheels. The 650 is a pig compared to the 400. There isn't much of a power difference if you jet the carb properly, 3x3 mod, and throw a pipe on the 400. 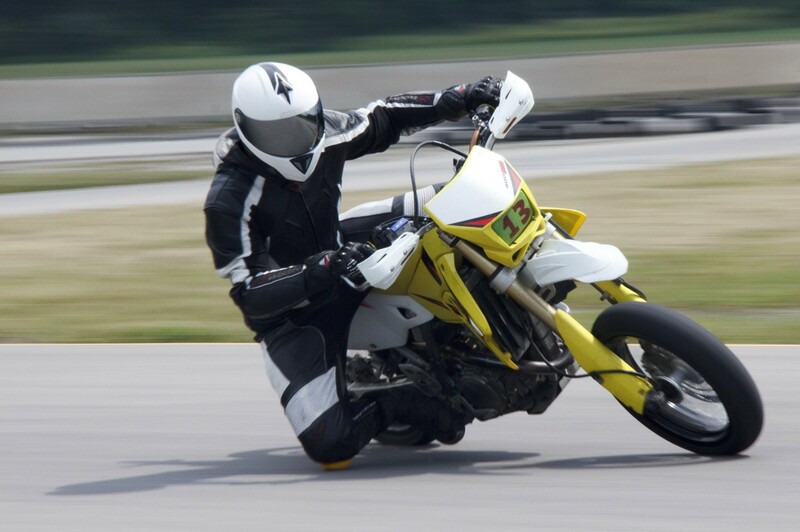 It is MUCH easier to find dirt rims(400S/E model) for a 400SM than finding Supermoto wheels for a 400S/E or 650. The 400 is better offroad thanks to the weight savings. Both are deadly reliable. I had 49,000km on my 400SM when I sold it. smcr 690 looks like a beauty, been reading up for awhile. quickshifter up/down and electronic goodies. 10k valve checks is a bit of a downer. I have kids and summer is the busy season for me. I dont get to ride as much as I'd like. Basically means a valve check every winter, my garage is heated. Between the two I'd pick the DRZ. Be careful not to get too hooked though cause they can become money pits, if you are anything like me, you will eventually end up on a KTM. I bought all those bikes new except the KTM I got used last summer with 200km on the odometer for a decent price. The gap between 2010 and 2017 was various other street bikes and dirt only bikes. Since you're riding 80% in the road leave it completely stock otherwise. You don't note what you're currently riding nor your experience, so if the 400 doesn't work out for you'll have less money sunk into it. That being said here are my findings, and this is for me, YMMD. I am old and worn out, of fickle mind and permanently cranky. I also have a 30" inseam. 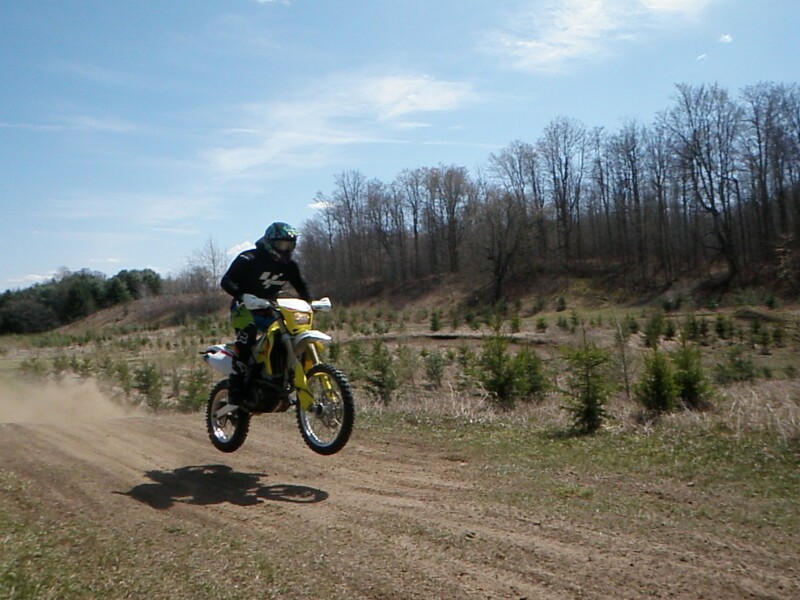 I don't care about beating other people on off road rides, jumping higher or hurting myself. I have been known to roost others tho. In the last 15 years , I have had 5 DR650's, 3 DRZ400's, 2 WR250's, a CRF250l, a KLR650, a CRF230SM (with knobbies) As well as a couple VSTROM 650's, a couple CB500x's, and more street bikes. Take the spring Bethany (off road)ride as a test bed. 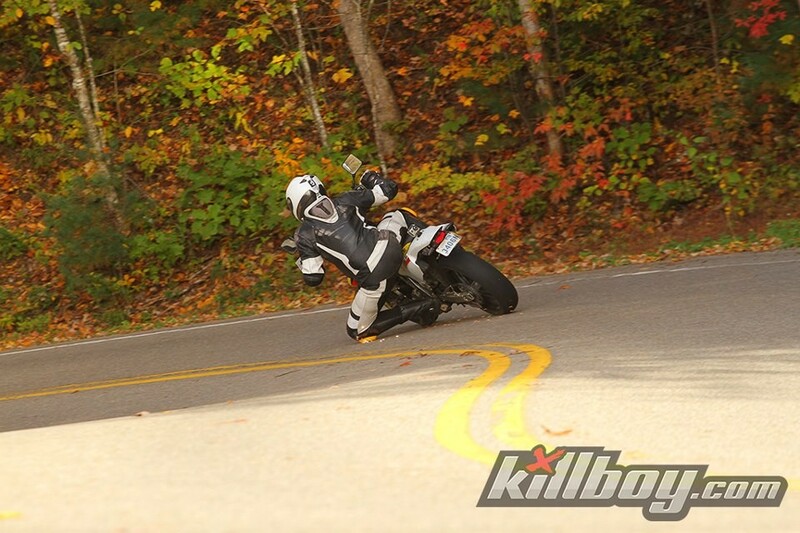 The DR, Z, WR were all perfectly capable bikes for this. The Vstrom which I stupidly did, proved to be quite heavy and tiring but I made it through. The CRF250 was the easiest, mainly because of the engine and weight. You can lug the motor, unlike the WR. The little 230 was a laugh, its so light and flickable. i did have to lift it over some logs because of the 17" tires. DRZ 400 is a awesome do it all bike. I enjoyed mine a great deal and with you mentioning it won't see much highway it would be my choice between the two mentioned. Thanks for posting up those demo days Iceman, I'm thinking I'm going to have to try a 1090. As I was reading your post I couldn't help but think this guy needs a 690 and then saw that's the plan. Good luck with whatever you chose after some test rides. Completely agree on finding s rims to fit an sm model much easier and cheaper. On that note, this could be a great deal for somebody. Whatever works. If you got those for a good deal it's all the same. I got a set of S rims for $500 with rotors and everything. Only downside is running the SM front rotor offroad as it's kinda big, but I never dinged mine on anything.